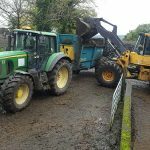 Hayesagri in Co Tipperary has grown into a leader when it comes to the sale of farm machinery and parts in this country. Irish Tractor & Agri heard more recently from Noel Hayes about the family business which has been servicing farmers for generations now. Founded in May 1977, Hayesagri is a company which holds many of its franchise brands for well over a decade now, including SAME, Major, Krone, Amazone, Quicke and Conor. The family-run business is also well-known for its sales of new and used cars and light commercials, with a comprehensive range of parts and after care offered. 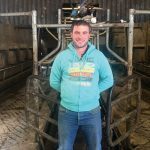 Noel Hayes is second generation at Hayesagri and now very much part of the team running things down in Clonoulty, Cashel, Co Tipperary. The man himself was able to take time from an increasingly busy schedule to fill Irish Tractor & Agri in on what they’re all about. 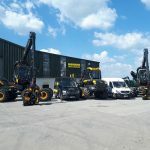 “At the moment, we’ve five working here and it’s mostly a family-run business with my brother Seamus, and son Jason who is involved in parts and sales. On service we have my nephew Gerard and Michael Bradshaw and freelance support from Declan Molumby, who has a wealth of experience. “This year has been more than surprising. We’ve sold a lot of the Krone kit including mowers tedders rakes and balers. 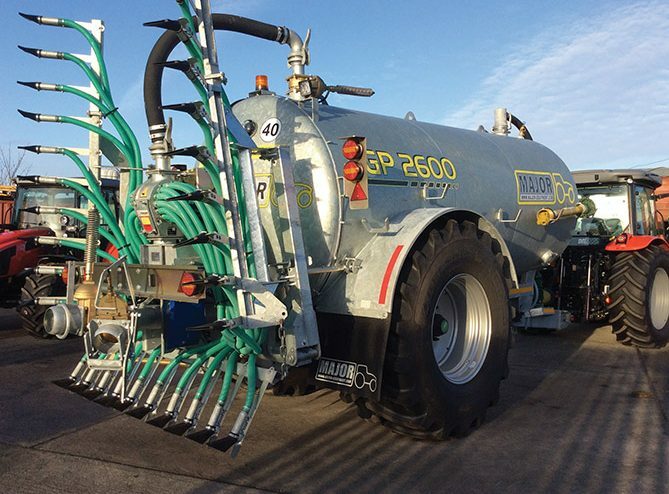 The TAMS grant situation has generated extra sales of Major slurry tankers with trailing shoe systems. The product that the end user is purchasing nowadays is customised. They’re looking for customised machinery – different customers want different specifications. 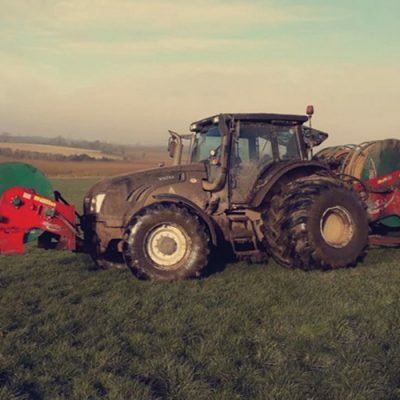 The large variety of options available on tractors and slurry tankers has pushed lead times out to almost six months in some cases as customers customise the product they wish to purchase. In 1974, the late James Hayes purchased a small building (formerly a VEC school) in the village of Ballagh and this was the workshop in the early years. Later some land was purchased beside the school and a larger workshop was built. “My late father started the up business in the 1970s. He had been an agri contractor and then he started selling universal tractors,” explained Noel. Hayesagri became officially incorporated in May 1977 and, some 10 years later, the next major milestone for the company arrived when they began selling SAME machinery. “We’re involved with SAME since 1987 and it came about for us through a man called Paddy Leonard, who was a sales rep, who got on to me,” explained Noel. “I sold one of their tractors at the ploughing that year and that’s how it started for us. 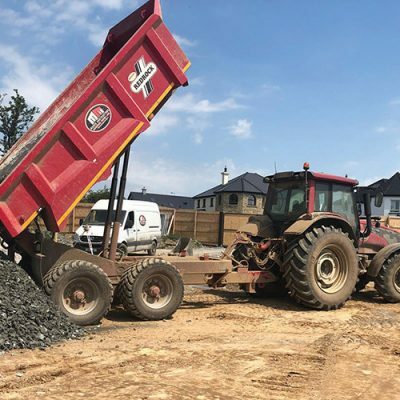 A huge part of the company’s success down through the years has been making sure that customer demand is met and down in Ballagh Clonoulty they endeavour to do so week in, week out. For Noel, the success of the business has come down two key aspects which have been continually carried through the past four decades. “I would like to think that a lot of it has to do with the product itself and the service that we give,” Noel stated. “I would always regard a customer as being of primary importance and the majority of people appreciate that approach. 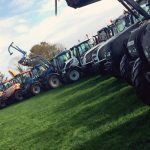 “Krone is the most popular machine for us right now and it’s going quite well for us so far this year,” he said. 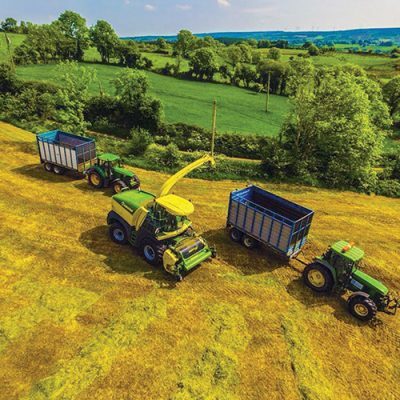 The attractive Krone finance package has been a huge help in boosting sales of the excellent product range. There’s no limit to the distance Hayesagri are willing to travel within Ireland either. We also distribute Simtech drills and even sold some recently into Northern Ireland. These machines are liked for their simplicity and reliability and currently production cannot meet demand. The company has sold machinery all over the country and the plan is keep doing so as long as the customer demand is out there. “We’ve sold machinery all over the country,” Noel proudly stated.